Overview: Arabs trace their cultural history to desert-dwelling Semitic tribes in the Syrian and Arabian deserts as early as the ninth century BC. At its zenith Arab culture dominated West Asia and North Africa. 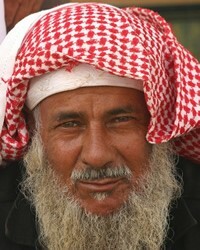 The Arabian Arab people cluster encompasses Arabs of the Arabian Peninsula: Yemeni, Saudi, Gulf, Omani, Bahraini, etc.